One of the biggest hits your financial state can take is being out of work – especially if that is paired with hospital bills due to an injury. 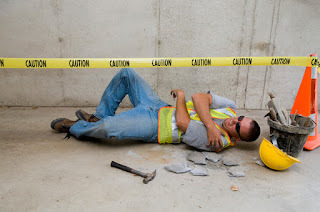 Depending on the nature of your injury and where it occurred, you may be eligible for certain benefits or Workers Compensation. However, those things can take time, and if you have a family, the bills rack up fast. Waiting on insurance to settle your claim or trying to live off the percentage wages from your job due to a workplace injury are significant financial setbacks, and often scary ones. It's easy to feel alone and hopeless, but that is not the case. You can do a series of things to make money to tide you over until the legal side of the ordeal is finished, or until you can return to work. You may be eligible for legal funding! If you have a pending court case revolving around your claims and it's taking up both time and money to keep paying these legal fees, legal funding can help you out in a pinch. By selling them a portion of your settlement claim you expect to get back once your case is finalized, they'll give a loan or an advance right away so you can tend to your immediate bills and continue moving on with your life. Here you can learn more about the different kinds of legal funding available for accidents including spinal injuries, dog bites, car crashes, and pharmaceutical drug loans. There is a multitude of ways you can keep the money coming in right from home. At times, you don't even have to leave your bed. If you have a good hand on the English language, look into freelancing in the writing industry, or go down a design route. You can also look for companies to pay you to blog about them, which can end up staying a great hobby even once you're healed and have returned to work. Selling unused clothing or items is another way to make a buck in a pinch, as well as renting out a room in your house or offering some sort of special expertise if you have any skills applicable. Many people have investments, and it may be a good idea to look into closing one out in order to get some money back into your account. Research the stock situation and analyze which of your investments, if any, are at a good time to close them out and reap the benefits. If you aren’t currently involved in any sort of stock-owning, maybe now is a great time to get started! Do your research, and though you may have to wait to buy into the stock market until your other financial needs are met, you'll have a good backup plan for the future.